Danger, Will Robinson! 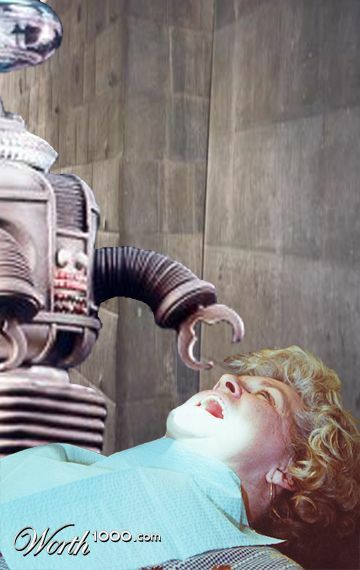 Did you know the robot from Lost In Space actually said that phrase only one time? Only one time ever…..and it wasn’t to warn Will Robinson of an impending dental appointment. Special thanks to Worth1000 for allowing us to use this image. Worth1000.com is the ultimate site for creative contests. Check out their website for more fun!